Let's see those beautiful bulldogs showing their Christmas spirit! After December 22 we will no longer accept entries. Winner and Runner Up will be announced on or shortly after January 1. Finally he just sits for a photo, Love this little guy to bits. 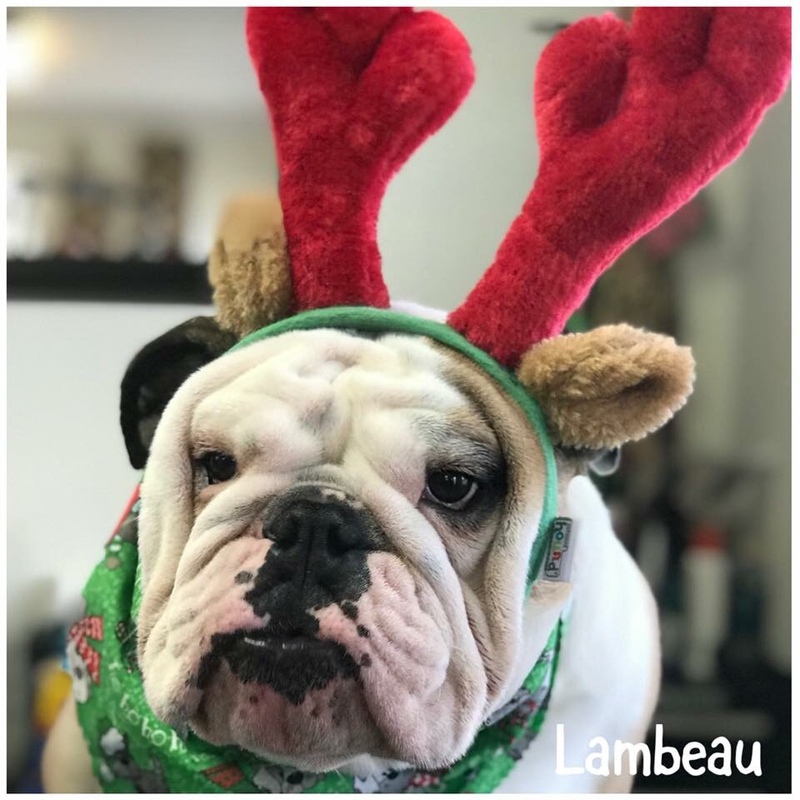 @2BullyMama Lambeau looks so cute dressed like a Christmas reindeer,but his face is saying "HUMBUG!!!!"